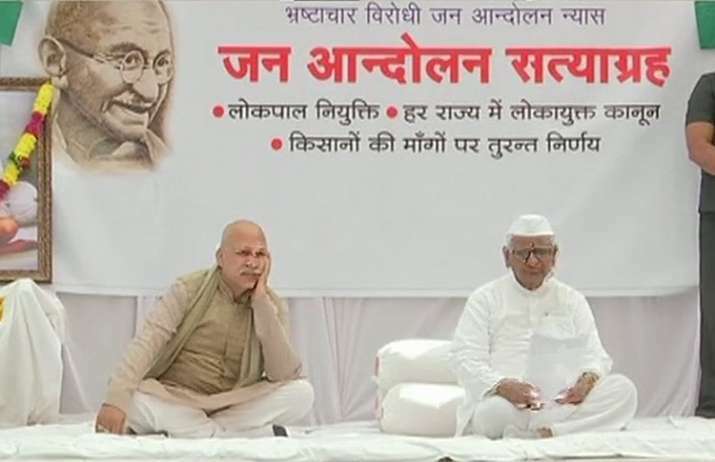 Seeking Lokpal and Lokayuktas as promised by the government, veteran activist Kisan Baburao Hazare alias Anna Hazare on Wednesday launched a fresh hunger strike at his Ralegan-Siddhi village in Maharashtra’s Ahmednagar. According to an aide, 81-year-old Hazare went around in a procession in the village along with a large number of supporters. He then hoisted the national flag before beginning the indefinite fast.